1. A Bronze Age settlement. The settlement dates back about 3000 years, as proved by wide-scale excavations. 2. A cave complex. The exhibits are dedicated to various religious traditions originating in extreme antiquity (Zoroastrian cult. Buddhism, shamanism, Christianity and Islam). 3. Visiting the sacred sites. There are many of them inside Grand Suleiman-Too as well as caves and stones, which are considered to cover the whole Central Asia's Muslim heritage from ancient to modern times. 4. Archaeological and cultural monuments. On the peak of Sulaiman-Too a unique single chamber mosque of the Fergana School (the 16-17th Centuries) known as the Prophet Sulaiman (or Solomon) Mosque. The Asaf-Ibn-Burkhiya Mausoleum and the Ravvat Abdullah Khan Mosque are located beneath the mountain. 5. Unique petroglyphs dating back 5000-6000 years. 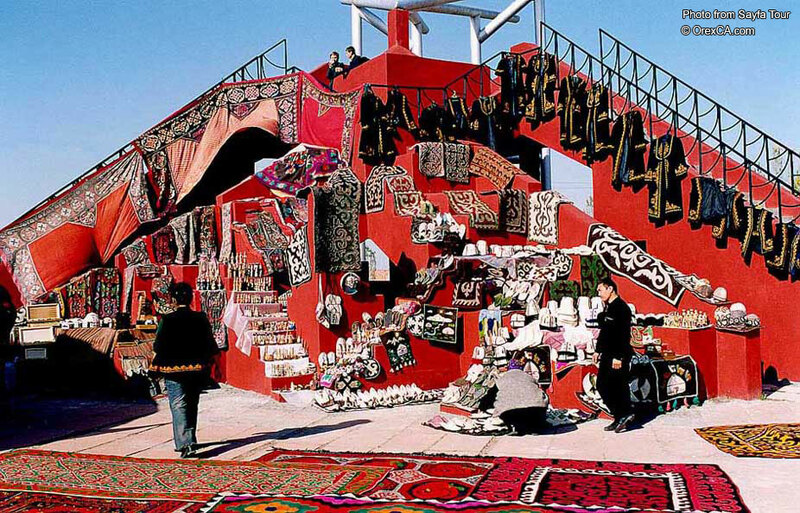 The Great Silk Road Historical Museum. The museum is divided into two halls. 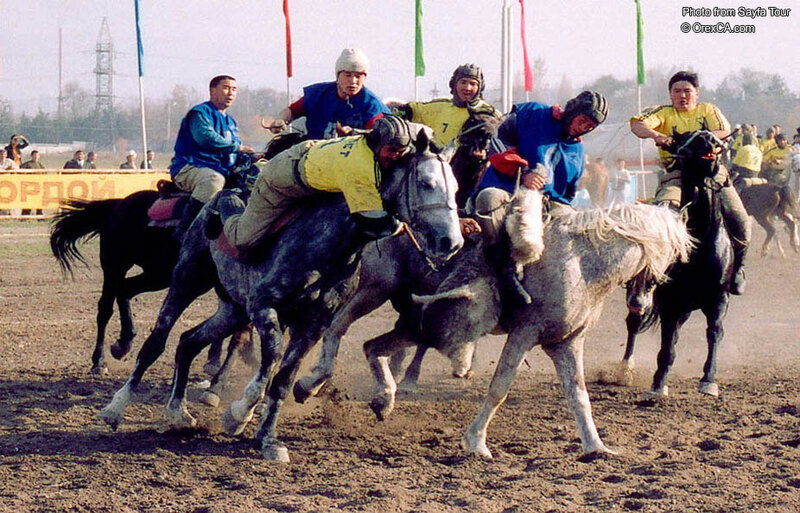 The first is dedicated to a display of Kyrgyz flora and fauna and the second houses a display of the history of Kyrgyzstan from ancient times. The Golden Valley creative studio. Pottery workshop. 1 hour. Description: The route goes through Uzgen, a small town, which is about equidistant from Osh and the Kara-Shoro National Park. 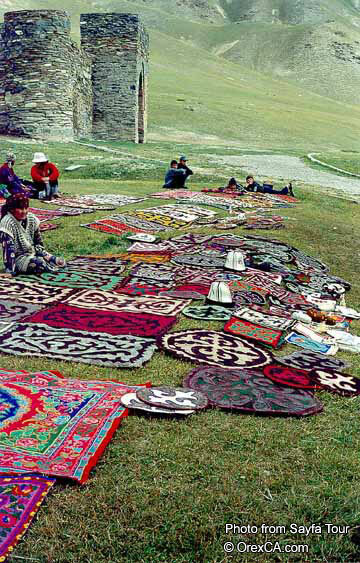 Founded by Turkic people in the 8-9th century Uzgen was a transit point on the Great Silk Road from the Fergana Valley. The three mausoleums and a minaret built in the ll-12th centuries are very well preserved. Enjoy your time in the Kara-Shoro National Park, distinguished by its coniferous forests, mineral springs and mountain climate. Wild foxes, wolves, bears and marmots can be found there. 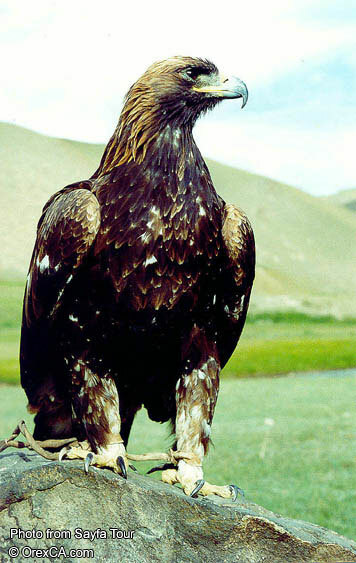 Day 1: Go to Uzgen from Osh (50km). Sightseeing in Uzgen. Lunch. 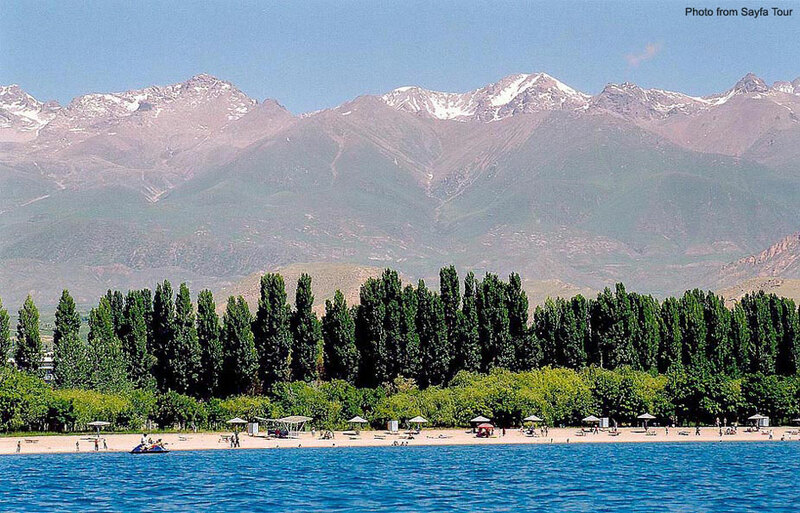 Go to Ak-Terek Village, which is 43 km from Uzgen, where you will relax and stay overnight. Day 2: Set off from Ak-Terek Village eastwards along the Yassy River through a gorge covered by walnut trees, and through the villages of Kosh-Eter, Kyzyl-Bayrak, Ara-Kol and Besh Zhash. 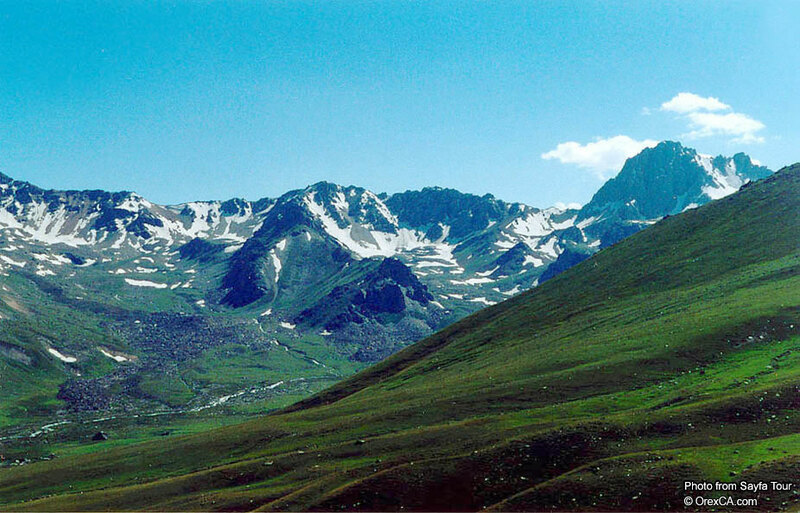 Climb to the Besh-Terek ("Five Trees"). Kara-Dobo ("Black Hill") and Baibiche jailoos. Enjoy a short picnic lunch on the Baibiche jailoo. The overall distance on the first day is about 30 km. Day 3: Go to the Kypchylma Gorge (1500m above sea level) on a stony road up to Chytty ("Cotton cloth") jailoo. Here the ruins of an ancient Chinese-Kyrgyz market can still be seen. The next jailoo is called Balam Caldy ("My baby is left here"). A legend says that many years ago a mother dropped a cradle with her child in it over a precipice somewhere here while moving from one nomadic settlement to another. The distance between Baibiche and Balam Kaldy jailoos is 20km. 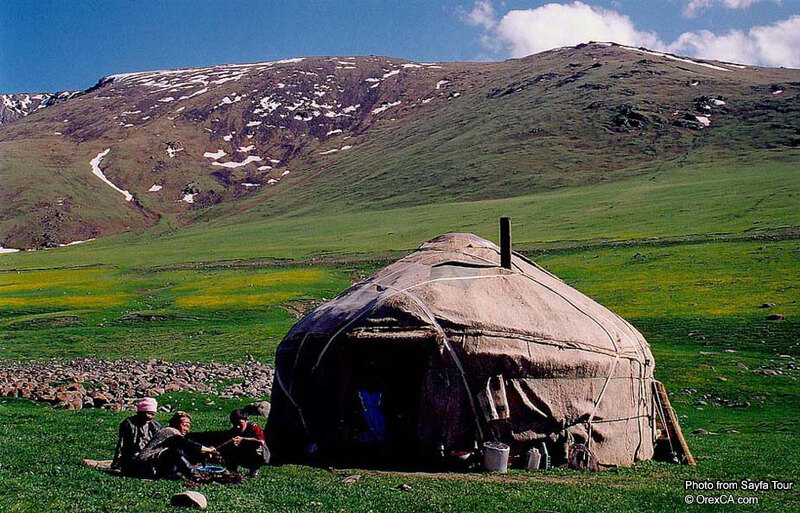 Day 4: Go east to the Kara-Shoro ("Black Salty Water") National Park, 2260m above sea level and on to Aga Zagar jailoo for lunch in a yurt camp on the banks of the Yassy River. The distance between Balam Kaldy and Aga Zagar jailoos is 25km. 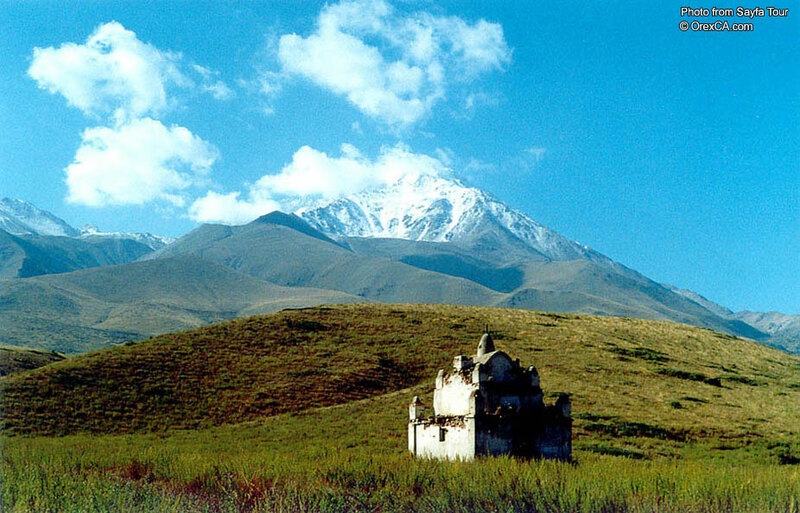 Itinerary: Osh - Abshyr-Sai, 80km. The overall tour route is 95km. Description: A 1-day weekend tour. Abshyr-Sai Waterfall is a unique phenomenon of nature. 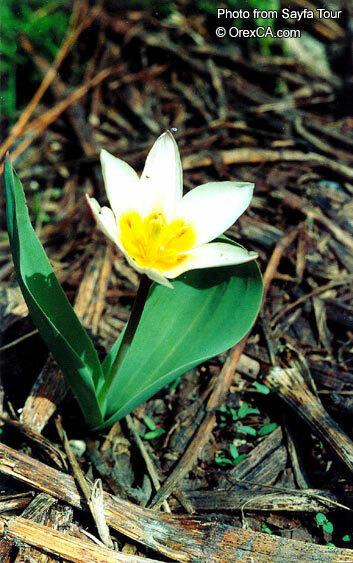 Here you can see a riddle of nature, which entices you with a bewitching show. Among the beautiful hills with archa forests, the waterfall of crystal clear water cascades from a steep rock. Near the waterfall a spring which since olden days, has been considered sacred, flows from deep within the earth. Below, there is a big cave where people come to worship. Three kilometres from here there is another picturesque waterfall, rock-bound in a gorge. 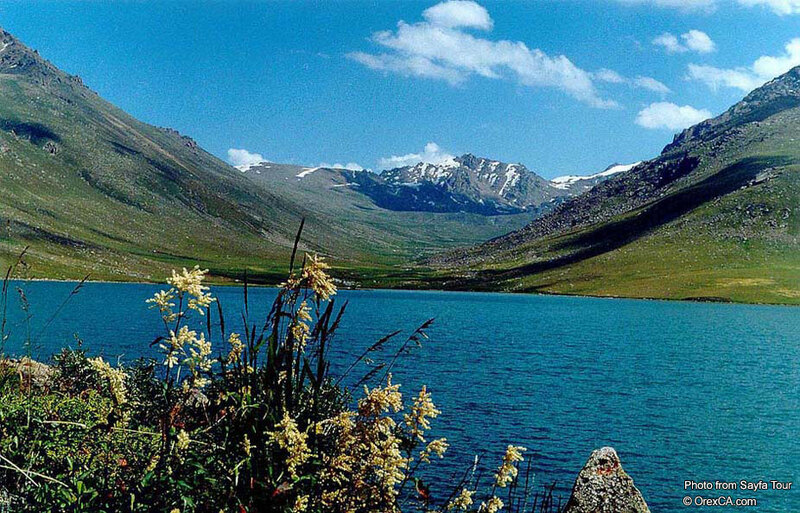 The route runs further to a lake on the shores of which travelers may stop for a picnic lunch. Nearby there are marble quarries. Local residents say that gold has been found here.